Place an Row in post/page/portfolio post. Please follow below steps to use “Row” shortcode. Step 4: Click on Brando tab, it will show all shortcodes of Brando theme. Now click on “Row” shortcode. 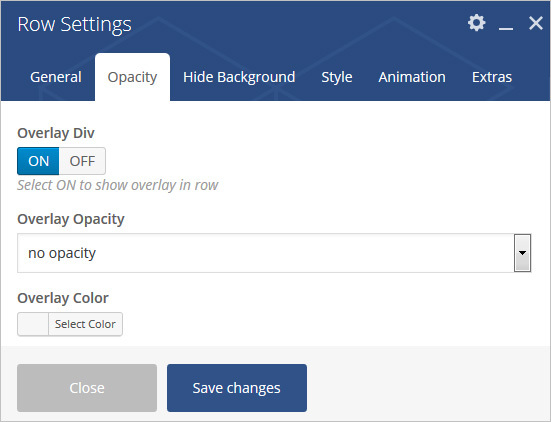 Step 5: Follow below inputs/settings and see “Row” preview in frontend. Equal height – If checked columns will be set to equal height. Content position – Select content position within columns. 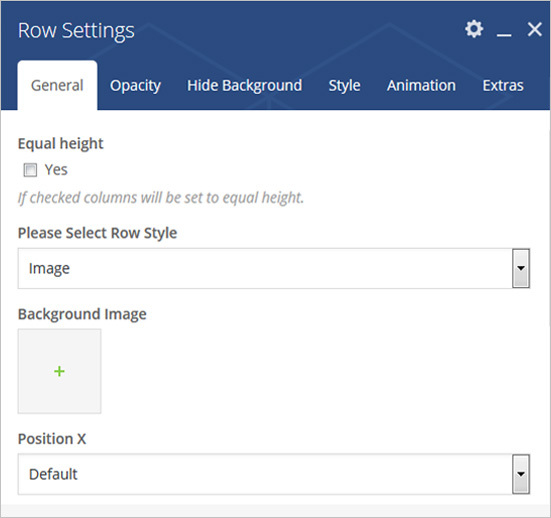 Row Style – Select row Style with Image or column. Background Image – Set Background image. 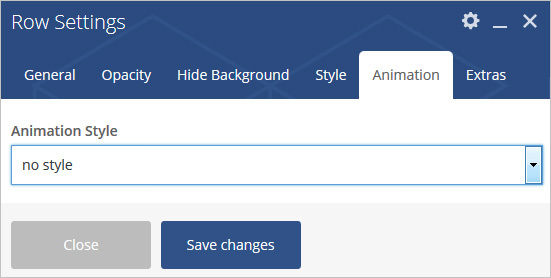 Background Image Type – Select Image type with fix or cover. Column Without Row – Select Yes to set column without row. Container Fluid – Add container-fluid class instead of container. 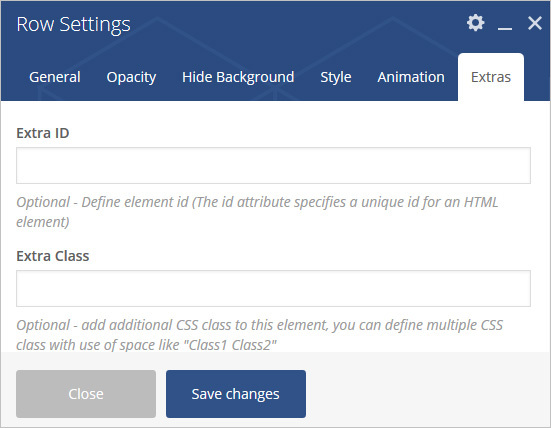 Fullscreen Class – Add full-screen class in section. Position Relative – Add position-relative class in section. Overflow Hidden – Add overflow-hidden class in section. Overlay Div – Add Overlay Div below the section. Overlay Opacity – Add Custom Opacity. Overlay Color – Choose Color For Overlay. Z Index – Add Z Index. Min Height – Add min height like 500px. 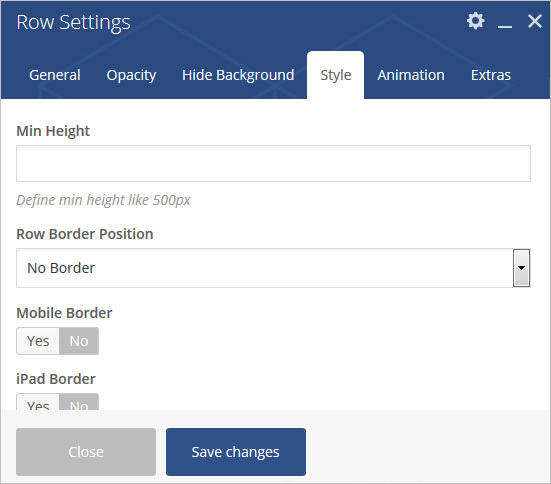 Row Border – Add Border Configuration. Mobile Border – Add Border For Mobile. 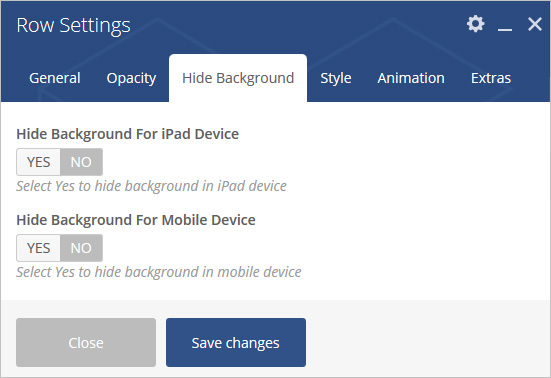 iPad Border – Add Border For iPad.